Ease yourself into some breathtaking scenery with a trip around the southwest of Norway. Think of Norway and you think of its spectacular fjords cloaked by dark pine woodlands, heart-stopping views, friendly and cosmopolitan cities and an outdoor ethos second to none. The Southwest offers all this and more, leaving you with an invigorating stay that will live long in the memory. The area surrounding the Southwestern Fjords boasts two of Norway’s most popular cities, the lively university town of Bergen and dynamic and confident Stavanger. 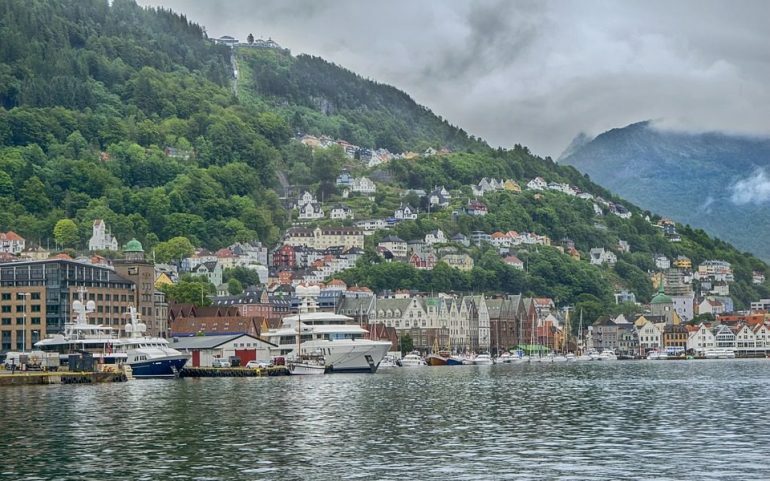 Bergen is a jewel of a city set among seven sweeping hills and is of course located close to some stunning fjords. The city is steeped in character and offers an inspiring mix of the ancient and the modern. Stavanger is probably the tidiest and most-user friendly of all Norway’s cities and its prosperity guarantees a wide selection of excellent bars, cafes and restaurants. The Southwestern area is an absolute must for outdoor activity and sightseeing. Act out your winter sporting fantasies on some of the most dramatic stages in Europe by paying a visit to Folgefonn, Norway’s third-largest icefield. Here you can engage in some summer skiing, snowboarding and sledding, or simply take time out to appreciate nature’s wonders. A trip to the southwest of Norway is incomplete without taking in the beauty of the 42-kilometre-long Lysefjord. Considered to be among the most outstanding fjords in Norway, this “light fjord” appears to shimmer before your very eyes. Make the worthwhile trek up to the Preikesetolen, an exposed slab of granite that appears to plunge 600 metres to the crystal clear water below. There can be no more spectacular spot for a picnic in the whole of Norway and from here you can enjoy some fabulous walks and nature trails. Among these is a vigorous hike to the famous Kjeragbolten, an enormous oval-shaped boulder wedged between two 1,000-metre-steep rock faces. Be brave and clamber onto this boulder for one of Norway’s best views and the photo opportunity of a lifetime. Embrace nature with a trek around southwestern Norway. Enjoy the energy and warmth of Bergen and Stavanger before making the journey along the fjords, delighting at the fresh clear air and the dramatic scenery that has changed little for millions of years. Breathe the air, fish in the deep blue waters and feel the warmth of the sun on your back as you trek through the southwestern fjords, studded like jewels along Norway’s ragged coastline.